A prestigious buyer and seller of fine watches, jewelry, diamonds, coins and precious metals, happily serving Dallas-Fort Worth, Plano and Frisco. Let us help you pick the perfect watch, diamond or jewelry piece to add to your collection. Or if you are interested in selling or trading your timepiece or diamond jewelry, please contact us online, give us a call or visit our new showroom. Noah’s Fine Watches & Jewelry strives to inspire confidence and loyalty from our clients. We do this by being the most trusted, knowledgeable and ethical jewelers in the market. Our new location located at 6363 Dallas Parkway, Ste. 205 in Frisco, TX is conveniently located at the Southwest corner of the Stonebrook exit and the Dallas North Tollway, in the beautiful new Starwood Village Shopping Center. Our accomplished professionals are ready to assist you with whatever you may need. 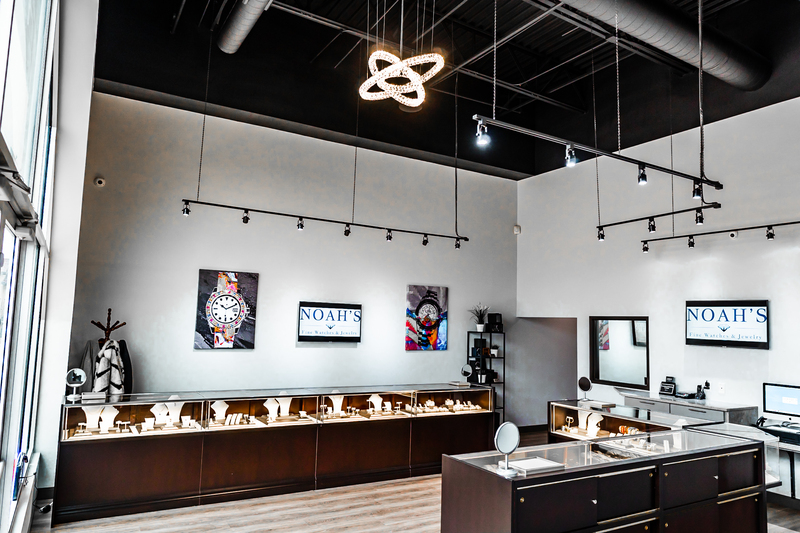 From making your watch or other jewelry purchases to taking trade-ins or buying your jewelry outright; Noah’s Fine Watches & Jewelry is your one-stop-shop for all your jewelry needs.